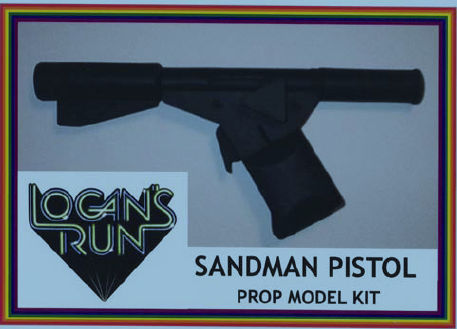 Here is a cool Kit of the Sandman Flame Pistol From the classic 70's film Logan's Run. Kit Is Cast In four Pieces of solid white Resin. A very distinctive looking prop from the awesome movie. Run Runner!